For many people starting a construction project is a daunting prospect. Our goal is to ask the right questions and give you the right information to make the process go smoothly and ensure that you will be happy with the outcome. For more Info: Click on the following step by step guide for more information on what you can expect throughout the process. There are also many things you can do to prepare for the process - from making lists of your needs to gathering images on Houzz or Pinterest. See the 'Research You Can Do' link below for more suggestions. "Anne Draudt collaborated with us and listened carefully to our wish list for our remodeling / addition. Within a short time she sketched three options that would meet our needs. These sketches were very helpful - we could see how our finished home would appear from each side of the house including the all important curb side view." 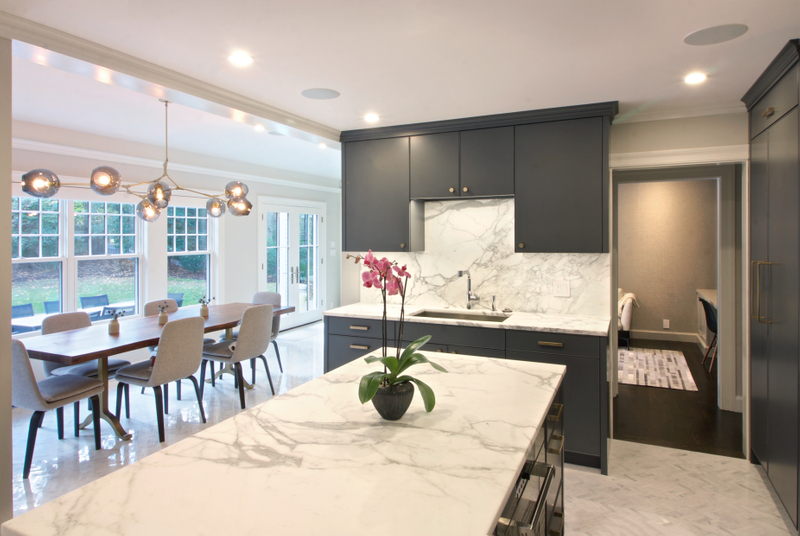 "Our addition/remodel was quite extensive and our general contractor told us that he had never worked with an architect who responded so quickly and professionally to his questions." "Most importantly, we love the home Anne designed for us. Everyone who visits loves the layout, functionality and welcoming feel of each of our rooms. To this day people stop in front of our home and comment on how they love our house. Since our addition/remodeling, three of our neighbors have had Anne design their additions testifying to the quality of her work."